make things better, the more we need to find creative solutions. 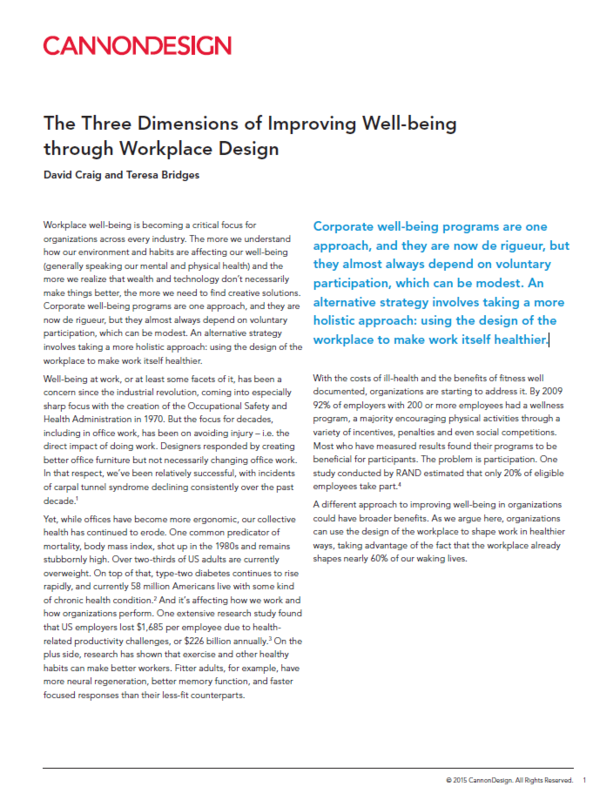 This paper provides greater insight into the three dimensions of improving well-being with detailed explanations and examples. CannonDesign is an integrated global design firm that unites a dynamic team of strategists, futurists, researchers, architects, engineers, and industry specialists driven by a singular goal—to help solve our clients’ and society’s greatest challenges.